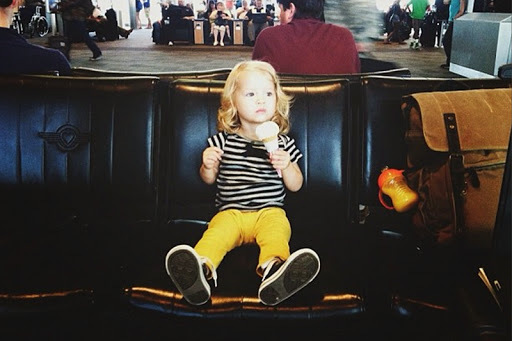 Survival Guide: Entertaining A Toddler On A Plane - Mom This! : Mom This! 2. Pick up some special books that are all about the airport or airplane. This will not only get your toddler excited about their upcoming flight the days prior to take off, but also get them familiar with the things and people they are about to see. We suggest Richard Scarry’s A Day At The Airport, Airport, and Amazing Planes. Pack a few books that are specific to your child’s interests and also a sticker book or two. You’d be surprised just how well stickers can entertain a tot. Find one with several pages and tons of stickers.